In our earlier blogs on Magento 2.0, we have looked at the modern technology stack in Magento 2.0, features to help expedite the development, QA, and deployment process, and improvements in the checkout process to improve conversions and drive sales. If you have not already read those then we encourage you to do that. In this blog, we will look at the changes made to themes in Magento 2.0 and how it can simplify customizations and improve customer experience. 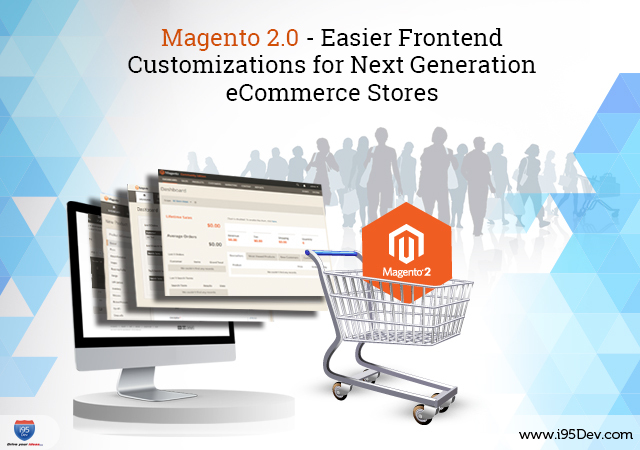 Magento 2.0 comes with two out-of-the-box responsive themes to help accelerate theme creation. Blank, unstyled theme that includes the baseline Magento functionality. A new way of building themes by specifying changes to an inherited base theme. This not only reduces code duplication but also simplifies customizations to the theme by focusing on changes only. While the default responsiveness of the theme will improve the customer experience, the new way of developing theme will reduce costs and improve time to market for the merchants. For merchants that need a different look and feel for different brands, locations or campaigns can now very quickly create new themes meeting their specific requirement. In Magento 1.x theme building was a time extensive exercise. But with the default theme and the multi-level theme inheritance development and customization of themes will be drastically simplified. Also, the new way of building themes will also enable developers and partners to reuse their efforts across multiple clients very easily. For extension developers, this will also simplify and reduce the time required for the development and customizations to the theme required by the new extensions developed by them. Customers will now experience a seamless shopping experience through an intuitive and responsive eCommerce store across multiple devices.